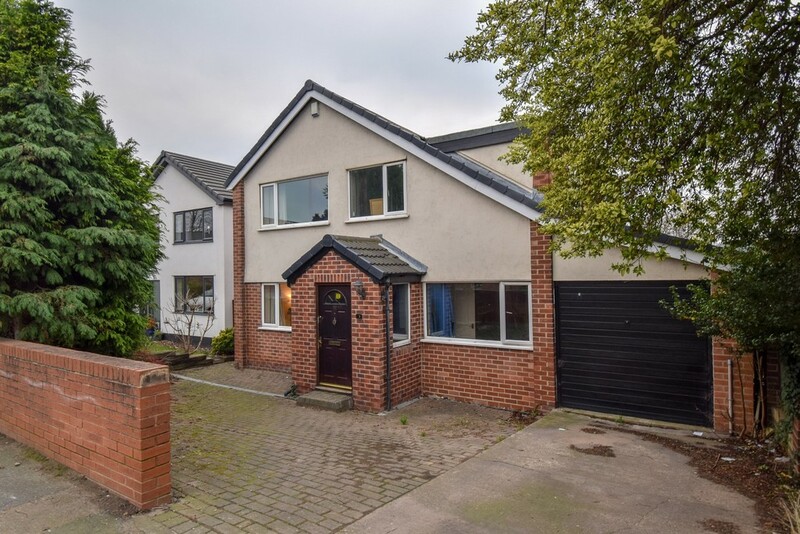 Situated in the POPULAR VILLAGE LOCATION of Wrenthorpe is this deceptively SPACIOUS AND EXTENDED detached family home. Boasting three sitting rooms and FIVE BEDROOMS, an early viewing comes highly recommended to see the potential the property has to offer. 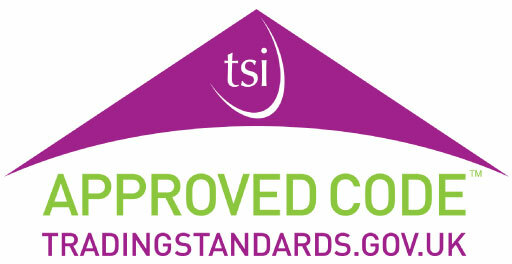 EPC rating E51. Situated in the popular village of Wrenthorpe is this deceptively spacious and extended detached family home. Boasting three sitting rooms and five bedrooms, an early viewing comes highly recommended. The accommodation comprises entrance porch, inner hallway, sitting room, breakfast kitchen, guest w.c. and through lounge/dining room with access to the sun room. To the first floor, there are five bedrooms and the house bathroom. Outside, the property has ample off street parking to the front with the driveway leading to a single garage. The rear garden has a paved seating area with lawn and planted borders. Wrenthorpe plays host to a great range of amenities including shops and schools. For those wishing to commute further afield then access to the M1 motorway is only a short drive away providing access to Leeds and further afield. An ideal family home and an early viewing is recommended. ENTRANCE PORCH Composite front entrance door leading into the porch. Tiled floor, UPVC double glazed windows to both sides, hardwood glazed door leading into the entrance hall. ENTRANCE HALL Coving to the ceiling, central heating radiator, staircase to the first floor landing with understairs storage cupboard and doors to the through lounge/diner, sitting room and kitchen/breakfast room. THROUGH LOUNGE/DINER 23' 7" x 10' 9" (7.19m x 3.28m narrowing to 2.85m in the dining area) UPVC double glazed window to the front, coving to the ceiling, two central heating radiators and a living flame gas fire on a marble hearth with matching interior and decorative wood surround. Serving hatch to the kitchen and double doors to the sun room with glazed side screens. SUN ROOM 10' 2" x 9' 7" (3.12m x 2.94m) UPVC double glazed windows to three sides and UPVC double glazed side entrance door to the garden. Central heating radiator and varnished hardwood flooring. KITCHEN/BREAKFAST ROOM 15' 8" x 7' 10" (4.79m x 2.41m) Fitted base and wall units with laminate work surface and matching breakfast bar. Four ring stainless steel gas hob with cooker hood above, integrated oven and space for four under counter appliances which includes plumbing for a washing machine and dishwasher. Central heating radiator, UPVC double glazed window to the rear elevation and coving to the ceiling. Opening to the rear entrance lobby. REAR LOBBY Double glazed rear entrance door. Doors to the cloakroom/w.c. and integral garage. CLOAKROOM/W.C. 8' 5" x 4' 7" (2.59m x 1.40m) Two piece suite comprising low flush w.c. and pedestal wash basin with tiled splash back. UPVC double glazed frosted window to the rear elevation and central heating radiator. INTEGRAL GARAGE Up and over door to the front, power and lighting. SITTING ROOM 15' 3" x 7' 10" (4.65m x 2.41m) UPVC double glazed window to the front elevation, central heating radiator and coving to the ceiling. FIRST FLOOR LANDING Butterfly staircase leading a split landing with doors to five bedrooms and the house bathroom/w.c. BEDROOM ONE 13' 0" x 10' 9" (3.98m x 3.28m) Coving to the ceiling, UPVC double glazed window to the front elevation and central heating radiator. BEDROOM TWO 10' 11" x 10' 4" (3.34m x 3.15m) Coving to the ceiling, UPVC double glazed window to the rear elevation and central heating radiator. BEDROOM THREE 12' 1" x 7' 10" (3.70m x 2.40m) Coving to the ceiling, UPVC double glazed window to the side elevation and central heating radiator. BEDROOM FOUR 11' 1" x 5' 8" (3.39m x 1.73m) max UPVC double glazed windows on a dual aspect to the side and rear elevations, central heating radiator and coving to the ceiling. BEDROOM FIVE 7' 3" x 6' 2" (2.21m x 1.88m) Coving to the ceiling, UPVC double glazed window to the front elevation and central heating radiator. HOUSE BATHROOM/W.C. 8' 4" x 7' 11" (2.56m x 2.43m) max, including cylinder cupboard Four piece suite comprising panelled bath with electric shower over, pedestal wash basin, low flush w.c. and bidet. Part tiled walls, ladder style radiator, coving to the ceiling, water cylinder cupboard and two UPVC double glazed frosted windows to the rear elevation. OUTSIDE A block paved and concrete hardstanding driveway provides off street parking leading to the integral garage. The rear garden has a paved seating area with adjoining lawn and planted borders.